Imho it looks absolutely stunning. Really muscular and brutal. 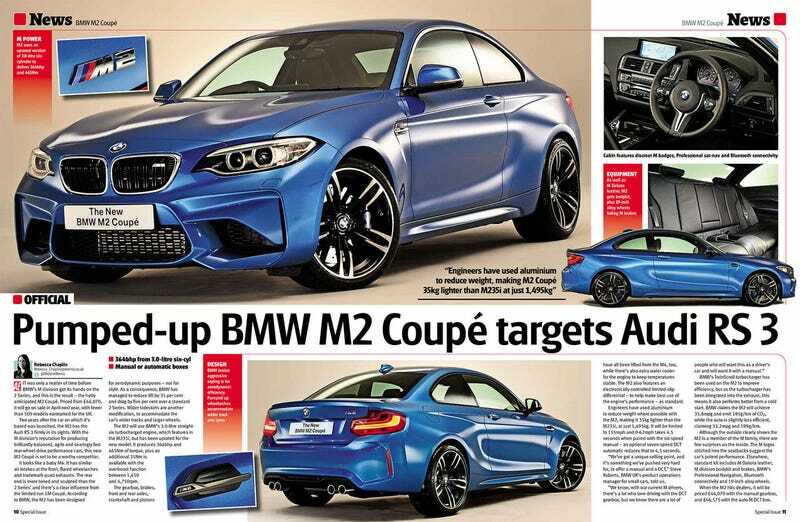 The specs are mostly what was expected, but the weight loss of 35kg (compared to the M235i) is really cool. I guess this will be a better drivers car than the M3/4.